ver the years, we have been affianced in providing well managed Trucking Services. These trucking services are imparted as per the varied needs and requirements of our prestigious patrons. Our team of experts imparts these trucking services to accomplish the exact requirements of the patrons. Moreover, we have highly advanced trucks that are driven by our dedicated and hardworking team members. 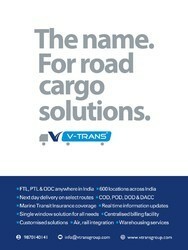 We provide these trucking services at highly competitive prices. The insurance provides risk coverage for ocean, air and road freights. 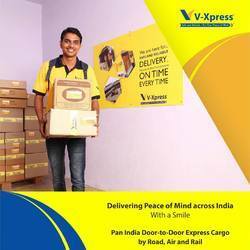 Insurance services from Vxpress also provide coverage for stored goods at the company's warehouse. In the event of a loss or damage, the insurance surveyors are available for responsive and complete inspections.